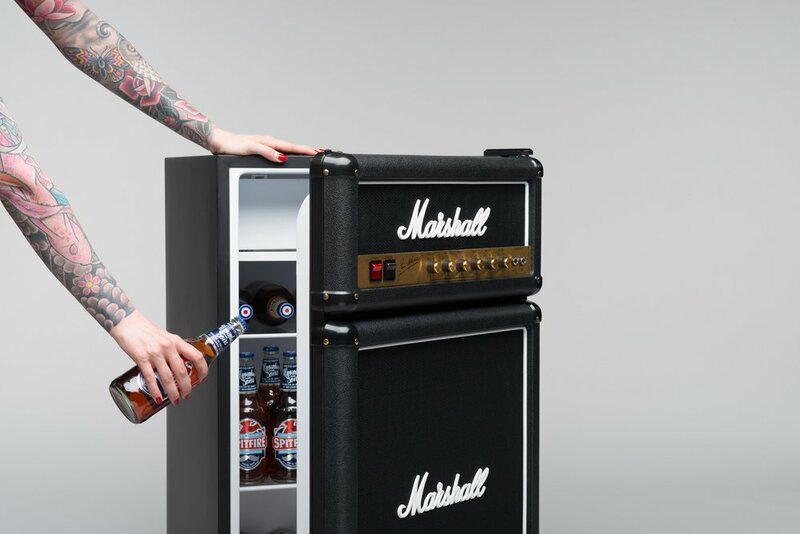 Live like a rock god with the stylish and fully operational Marshall fridge. The iconic Marshall design is instantly recognisable thanks to the black fret cloth, white piping and white Marshall logo. In fact, stick this in your den, green room or studio and you’ll be the envy of all your bandmates. Enviable design – this fridge features the classic half stack Marshall design. There’s also a Marshall branded, tempered glass shelf. Flashy and functional – this isn’t just for display, with adjustable shelves, spill protectors and arctic blue LED lights, this fridge can easily fulfil all of your needs.